Recipe For The Perfect Brows! Your eyebrows are much more than a few wisps of hair above your eyes. They are defining features that make a huge difference to the balance of your face and overall look. Yet, so many women over-pluck their eyebrows or simply don’t know how to make the most of their features. If you want your eyes to look amazing with minimal effort and to give your face more structure, your eyebrows hold the key. Shaping and defining your eyebrows is the first step to getting the low maintenance eyebrows you want. But you probably won’t like the next tip very much: you need to let your eyebrows grow out for a few weeks so that you can see their true shape and potential. After so much plucking, this will be a tough ask but it is worth it to regain a sense of what you have to work with. For those of you who have already plucked your eyebrows into oblivion, don’t panic. Micro blading is a popular treatment that adds pigment to your skin giving you the illusion of thicker brows. Grow what you can naturally and then use this method to fill out your brows and add greater definition. While you are focused on shaping your eyebrows, you probably aren’t giving the skin underneath enough love and attention. A cooling lotion can really help to calm your skin after plucking and shaping your brows. A homemade lotion is usually the best way to ensure all natural ingredients and the best results. Plus, you can add any essential oils you like to get the scent you love. You should be thinking about your skin all the time and doing the basics like drinking plenty of water and cleansing after wearing makeup will make a big difference in how it feels. Just because you can’t see the skin under your eyebrows, doesn’t mean it doesn’t deserve some attention! There are a million and one products you can use on your eyebrows but often, less is more. By reducing the amount that you pluck away and reducing how frequently you do so, you will find that your eyebrows are much healthier in growth and thickness. There are a lot of different eyebrow fashions at the moment but the main thing to remember is that anything you do should suit your face shape and style. It’s silly to follow any fashion that doesn’t quite fit your personality and your face is pretty central to that! If you are in doubt, it’s always best to leave your brows natural and simply do a bit of tidying around the edges. Seeing a brow specialist is also a good idea as they will be able to give you a more seamless look than you might achieve at home. However, do make sure that you give them thorough instructions for what you want! Your skin is something that is very important to you; for one thing it’s the largest organ on your body, so you know you have to take care of it. There are many ways that you can improve your glow over time, whether you’re trying to revive a boring skincare routine or improve your diet. 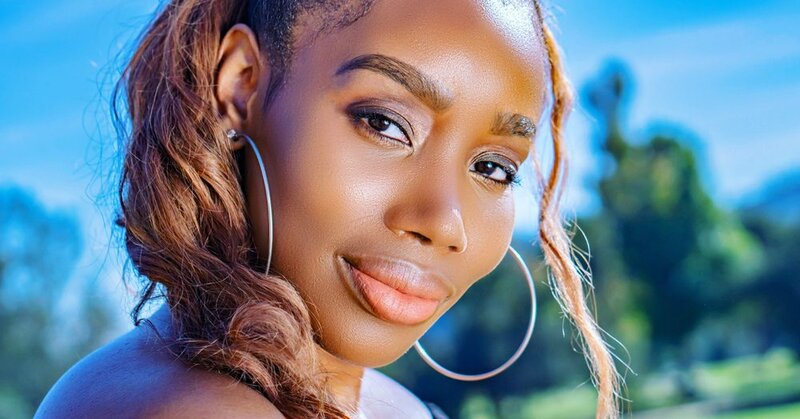 You want to feel flawless every day when you step out of the house, so read below for some tips to help you switch up your skincare methods and find a way to glow from the inside out. You could have the clearest skin in the world, but if you don’t smile nobody is going to be able to appreciate it. There are many different reasons people don’t like to smile. However, if your reasoning deals with the way your smile looks, perhaps a visit to the dentist for a check-up will help. After a quick cleaning (for instance), you will have sparkling teeth that you’d be glad to show off. There is something enticing about someone with a beautiful smile, so wear it with pride. Another way you can make yourself feel more radiant is by choosing a moisturizer that enhances your glow. Choose a moisturizer with a built in SPF protector so that you can prevent aging along the way too. If you have acne prone skin, it’s also a good idea to avoid moisturizer with oil, as this will clog or pores and irritate your skin. A clever highlighter can work wonders for even the dullest of skin (like the fenty beauty highlighter). Head to your local makeup counter and try out a range of highlighters that might suit your skin tone. Just a flick of highlighter at the very top of your cheek bone will enhance your smile and make you feel gorgeously glow-y. There is only so much you can put on your face to make it look radiant; you also need to make sure you’re feeding it from the inside too. Fill up your water bottle and drink plenty of H2o on a daily basis (approx. 8-8oz/day). This will help to keep your skin clear and it will work wonders for your overall health too. When your body is deprived of sleep it can have a real impact on the way your skin looks. Beauty sleep is the real deal, so make sure you’re getting enough shut eye each evening to avoid red eyes, puffiness, under eye bags and sallow skin. There are many ways you can improve the look and feel of your body and face, even if it isn’t directly through skincare. Visiting the dentist regularly, eating the right foods and staying hydrated will help you to improve your overall confidence, which will then reflect onto your gorgeous glow-y skin. It is a natural fact of life that we get older and there can be a variety of different factors that play a part in how well we age. We all know those people that seem to get better with age, don’t we? Whether it is down to genetics or looking after their body in a healthy way; there are several things that can impact how well we age. While it is a privilege that is denied to many, there are still things that we can be doing to make sure that we age as well as possible and feel the best about ourselves. Here are a few tips and tricks to know what is best to avoid if you want to age in the best way. As we get older, it can be tempting to slip on a little more makeup than you normally would in an effort to help you look more youthful. But in fact, it could have the reverse impact. Too much makeup can dry out your skin, draw attention to lines and wrinkles, and make things look less than classy (think of spidery eyelashes, for example). So keep things more natural looking and light, and it will look much better. Aging isn’t all about how we look on the outside, but we can age from the inside outwards too, and too much salt in our diet can have a negative impact on our health and our bodies. High blood pressure is also something that can play a part in how gracefully you age (or not), and salt is a massive trigger to make high blood pressure worse. So be vigilant about the salt in the food that you eat, as high blood pressure can lead to some serious health issues if left to get worse. Having a little indulgence from time to time can be a real treat and a way to celebrate. But moderation really is key with this kind of thing. 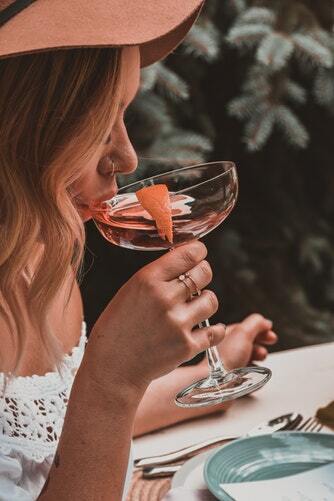 Alcohol can be incredibly calorific if we have too much, and can cause health problems ( as can smoking and recreational drugs). Overeating can have serious health issues for us too, so have a look at your lifestyle and see if there are any things that you can change. If you or a loved one is finding that they are dependent on things, then looking at somewhere like the Amethyst Recovery Center could be a good idea to get more information. Then you will be able to age in the best way possible. There are always going to be some things in life that we find stressful- from work to our family life. But when we don’t deal with stress well or don’t make time for self-care, then it can lead to some health problems, such as heart disease and depression (or that pesky high blood pressure again). Manage your stress and take time out for yourselves and it can make such a difference to your health and well-being. Taking care of your skin is an essential part of a beauty routine. Without removing makeup or using a moisturizer, it will begin to crack and flake. Even worse, wrinkles and lines will appear and the signs of aging will start to show sooner rather than later. It may be winter, but the battle to save your skin never ends as the cold weather is as threatening as the warm, humid temperatures. Washing your face daily may be a skin-saver, yet there’s no doubt it’s boring. As a result, it’s not easy to maintain the same level of consistency as usual. Take one day off and the biggest organ in the body will start to show its flaws, which is something you want to avoid for a long time. The answer is to revive a routine with exciting methods. Then, you won’t have a dull mindset or skin. Because it can be tricky to overhaul a regimen, there are tips below for anybody who needs inspiration. One of the worst parts of a routine is the amount of effort it takes to complete the task. All any woman wants to do is sit down in front of the TV and put on her favorite episode of Friends; orr, it would be nice to flick through a magazine while professionals take care of the nitty-gritty. With a facial, either option is available. DIY pastes and creams are straightforward to apply and take an hour or two to work. So, there is nothing wrong with lying on the sofa and taking the edge off for “therapeutic” reasons. If the plasma screen just happens to land on Netflix, then that’s all the better. Although they are cheap, the quality isn’t as good, nor is the process as stress-relieving than with a pro. Go on; schedule an appointment now for the sake of your skin! Sticking with the relaxing theme, let’s move onto a bucket of steam. Okay, that’s not a thing, but using hot water to cleanse the pores is. It may leave you a little hot under the collar, yet that’s all part of the fun. There is no way to multitask while steaming the skin, but this is an advantage in some ways. After all, you get to shut off completely. The setup is simple: boil the kettle, pour the water into a container, and grab a flannel. Then, use the cloth to cover your face as you lean over the hot water. Think of it as going for a steam after a gym session, only with fewer naked people in the room! Keep your face over the bowl for about seven to ten minutes for the best results. Although it sounds a little basic, the heat leaves you feeling invigorated and ready for round two. Your skin needs moisture to look flawless, and the only way to keep up with the demands is to drink water. The problem is H2O is boring and not exciting whatsoever. There is no flavor and it doesn’t get the taste buds salivating like a deep glass of vino or a can of soda. This is where flavored sparkling water brands spice things up a bit. Infused with carbonated fruit water, the taste and the texture will get you coming back for more. Plus, the majority of them don’t have any refined sugar or sweetener products, so drinking bottled, flavored water won’t result in weight gain. Make sure you read the calorie count on the packaging before heading to the checkout. Technology is advancing at a rapid pace, and the health and beauty industry is benefiting. Today, it’s possible to buy an LED light mask which, other than making you look like Hannibal Lecter, penetrates the skin at different levels. As a result, it’s thought to fight off everything from wrinkles, flat skin which isn’t moist, and acne-causing bacteria. The way it works is quite self-explanatory once you understand the basics. The blue lights kill bad bacteria and the red ones help the body to produce collagen. The latter is how the mask plumps up flat skin. Depending on what you want to achieve, pick a color and pop it on for no longer than ten to fifteen minutes. Yes, it is a tad expensive with some specialists charging $120 for a twenty-minute session. However, there is nothing as exciting as the novelty of the first-time experience. If you’re committed to fighting the signs of aging, it’s time to incorporate some fun into your routine to keep it fresh. Your face is what you use to go out and greet the world. It’s the first thing people will notice about you, and the way you smile, and the way your eyes light up with the rest of your facial features. Maybe you like to wear makeup, maybe you like to have as bare a face as possible - either way, your face is your first impression, and that means you should take care of it! Here’s a couple of tips and tricks to make sure your face gets the right amount of tender loving care on a regular basis - you might just find out something you didn’t know about before! Your skin is yours and yours alone, and that means it’s not going to be the same as anyone else’s out there. Yet, there’s a lot of bother and debate about skin types out there, and what category your skin can fit into. But if no two types of skin are the same, why should you bother? Well, it helps to find products and solutions that are going to do the most for the skin you have, and make sure you’re not wasting any money whilst you’re at it! So, what kind of skin do you have? Maybe it’s a little dry, maybe it’s quite oily, maybe you never notice too much of any one kind of effect, maybe you get a little bit of everything every now and then. Do you have very visible pores? Or are they quite small and closed off? Does your forehead get shiny? Maybe you never notice too much of a glow? No matter what you see when you look in a mirror, you can very easily diagnose the type of skin you have with a quick search such as https://www.bioclarity.com/pages/skin-types. A quick five minutes and you could come away with a world of knowledge about what skin treatments would be most effective for you. Your smile is one of the main features of your face, seeing as lips are a natural draw for anyone looking at you whilst you speak. If you’re someone who’s very giggly, and likes to light up a room with your conversation, you’re going to want to focus on your smile more than anything else. You want your lips to be nice and soft, even when you bite them a lot by habit, and you want to be able to smile as wide as possible whenever you want to without feeling like you need to cover your mouth with your hand! At the same time, you might not feel too comfortable with your teeth, and how they make you feel when you look in the mirror. If you can’t seem to make peace with them, feel free to look into a more cosmetic solutions, such as at https://rosedentalnashua.com/. After all, we need to do what we need to do to be happy, and if you’ve got the time, energy, and money to invest in something like this, why not? Your nose is the main way you breathe in and out on a daily basis, and because of this vital piece of apparatus, you need to look after it! Your nose can house all kinds of grime and bugs, and thankfully your body does its job in making sure these germs never get further than your nostrils (thank you sneezing! ), but you can still feel a little stuffed up anyhow. So let’s try and change that. You might need to just use a simple over the counter nasal spray, you might need to blow your nose more, you might just have to add a nose cleaning portion into your routine every now and then… no matter what you decide is right for you, make sure any allergies or colds you have do not linger for long. Once you’ve done that, you might feel it's time to break out some strips to clear out the blackheads that seem to be covering the top of your nose, because you forget to take care of those when you were cleansing and toning this morning. But when you pull the strip off, there’s simply nothing on the other side of it! Well, that might be because you don’t actually have blackheads, and instead your skin is simply displaying the sebaceous filaments we’re all born with! Your eyes are quite possibly the main feature of your face, seeing as we look people in the eyes when we talk, when we argue, when we laugh, and when we’re trying to comfort or convince someone. If your eyes are feeling a little dry, or a little irritated recently, you might want to do something about it. After all, eyes are the windows to the soul, and you need them in good health and good condition to make sure you’re literally looking your best! So be sure to eat the right things more often - maybe a bit more kale in your diet, maybe a bit more oily fish if you eat that kind of thing, maybe just pack some nuts for your trips to and from work every day. On the other hand, you’re going to want to get outside more; yes, it’s winter, and you probably want to stay inside as much as possible, but your eyes need the space outside to help them out - seeing as looking at a computer screen for too long can do some damage! You should take better care of your face and all the features on it - it’s a very healthy thing to do! Have you had enough of enduring dry, itchy, and patchy skin during the winter? You’re certainly not alone - all skin types tend to suffer when the temperatures drop, and dryness tends to make a few of the most common issues even worse. This season you’ll be able to show up for all of those Christmas parties with a healthy glow and with a perfectly moisturized face. Just follow a few of these steps, and you should be able to take care of the stuff we dislike the most about winter: dry skin, patchy lips, and red-ish hands. Here is a quick guide to keeping your skin nourished for the next couple of months so that you can smile at yourself in the mirror without cracking up - literally, that is. The products you use on your skin during spring and summer won’t necessarily be as good for you when the temperatures drop. Just like you tend to crave warm blankets and bottomless cups of tea during the cold season, your skin is going to crave moisture. Take a look at the skincare products you have in your cabinet at the moment and consider if a few of them should be allowed to rest until spring. Light creams, for example, and cleansing facial cleaners may not be as nourishing as richer products. Try to find some all natural face exfoliators if you struggle with oily as well as dry skin so that you can clear away dead skin cells without drying out your skin even more. The most important thing you can do for your skin, after all, is to make sure that the creams you apply are suitable. Remember to use a rich lotion, body butter or oil as well, and apply it as soon as you’re out the shower to seal in moisture. Talking about your grooming routines; if you manage to cut down on the time you spend in the shower as well as decreasing the temperature slightly, you might notice a huge difference on your skin. While it may be hard to not stand in the shower forever and just feel the hot water when it’s ice cold outside, you will be doing to skin a huge favor. Try to use products in the shower that are mild as well, and steer clear of heavily fragranced products and those that contain alcohol. Those with very dry skin may want to consider using all natural soap or shower cream that are made for those with skin sensitivities or allergies. It’s a little bit more expensive but definitely worth it if you want to avoid itchiness and dryness. Simply Soaps has great all natural and moisturizing soaps that you can try at affordable prices. Finally, you should try to take care of one of the main things that is causing our skin to dry out and our hair to go all frizzy. While the air outside is freezing cold and unpleasant, all of that electrical heating inside isn’t really making it any better for you. It’s not like you’re going to stop heating up your place, though, as it’s surely better to have dry skin and frizzy hair than shivering when you’re trying to relax at home. Just invest in an air humidifier instead; it will pump some moisture back into the air when you’re at home so that your skin won’t dry out so much. It’s good to breathe in as well, and you will certainly notice a difference on your skin and hair. Just find one that is reasonably priced and with the capacity to cover your entire home. Alternatively, you can just move it around your home in case you live in a house and don’t want to spend all your savings on a huge humidifier. Skincare during winter requires a bit of extra thought and care - especially when you want to avoid dry skin. Remember to drink enough water as well, and treat yourself to a face mask once or twice a week to maintain that healthy glow. You do not have to wear makeup all the time for your eyes to look their best. In fact, it does them good to have a rest from it. Forget the mascara, eyeshadows and liners for a while and let the natural beauty of your eyes light up your face. You need to get enough sleep if you do not want your eyes to look droopy or puffy. When you sleep, your body repairs and restores itself and that includes your eyes. If you do not want them to look dull and lifeless, but want them to be sparkling, make sure you do not stay up all night but get the sleep you need. Your eyebrows frame your eyes and although sorting them is not as important as regular eye care checks, they are still an important part of looking after your eyes from a beauty perspective. Do not pluck them too much as a strong eyebrow can make your eyes look wonderful. It is best to get them professionally shaped and find out from the experts what the best shape is for your face structure. Brushing them upwards can help to open up the area around your eyes too. When you are moisturizing the rest of your face do not forget the skin around your eyes. You should not use your normal moisturizer for this area though as the skin is much thinner. You should use a gentler cream that offers a barrier repair, and something with a rich emollient is the best. Get into the habit of applying eye cream at night as part of your beauty regime. You can even put it on your eyelids at this time of day. It will help to restore your skin around the eyes from the vigor’s of the day and make them look much more refreshed when you get up the next morning. You should apply a lighter eye cream in the morning and avoid putting any on your eyelids. Be gentle as you are applying it as pressure around your eyes can cause puffiness. Eye brightening drops can be good for anyone that suffers from allergies, or if your eyes are looking tired. If they are feeling irritated the eye drops can ease this, and reduce any redness in them. There are ones on the market that are designed especially to brighten your eyes, but before you put anything into this most delicate organ, you should speak with your physician and OK it with them. The most important thing to keep your eyes looking good is to stay healthy. Getting enough sleep has already been mentioned, but did you realize that exercise is good for your eyes as well as the rest of your body? Taking a short walk can improve the eyes fluid drainage system and make them look brighter. If you keep getting dark circles around them it could be a sign of an iron deficiency. Try eating some iron rich foods and the dark circles should become less obvious. If they do not, talk to your physician, as you may need an iron supplement. Your eyes can look great all the time without the need for any makeup at all, you just need to care for them. Your skin is much more than you might think it is. It is actually the largest organ that your body has, and as such it is something that you should make sure you are taking proper care of at all times. By properly looking after the skin, you can be sure you're keeping away some of the worst diseases known to humanity, along with allowing yourself to look better, and encouraging better all-round health across your bodily systems too. Unfortunately, a lot of people fail to look after their skin as best as they could, and often this comes down to a few simple things which could easily be changed. In this article, we are going to take a look at a few of the things that might be stopping your skin from being healthier. Take care of these and you'll find that it makes a huge difference. We all know some of the problems with overexposure to the sun. Yet, it can be so easy to allow your skin to be in the sun for too long. Sometimes it is simply forgetfulness, and sometimes it might even be that you think it doesn’t matter and allow your skin to be out in the open when probably you shouldn't. However, it’s a good idea to begin being careful about when you are in the sun, especially if you are worried about skin cancer, for example if you have had it in the past or you are concerned about one or two of your moles. As long as you don’t get too much sun, you are doing the number one thing you should be doing to keep your skin healthy, so this is absolutely the most important concern of all. One of the biggest skin care concerns has to be water. People often find that they are quick to use moisturizer, but for some reason or another much less keen to simply drink more water. If you have started to think that you could probably do with drinking more water, then the truth is that that could make a huge difference to how healthy your skin is. If you feel there are problems with your skin, almost always you can improve the situation simply by upping your water intake. To do this, you might want to consider the simple yet effective solution of carrying a water bottle around with you, and ensuring that you drink it. Once you start doing so, you will notice an improvement in mood and in your overall health too, so you will probably be inclined to carry on as a result of that. If you improve your water intake, your skin will not only be healthier, but it will glow more as well. It is also worth looking to see if you have any poisons going into your system on a regular basis which you might be able to do away with. This could be any number of things, but some of the most common are also the worst offenders. Probably the two most common are nicotine and alcohol. If you consume either of these in any large degree, it is almost certainly affecting your skin, so it is definitely a good idea to try and cut down as best as you can. You will find that doing so makes a huge difference, and that it does so quickly as well. If you find it difficult, consider getting some help for it. This will not only be good for your skin but for your overall health as well. As long as you keep poisons to a minimum, your skin will be in a much healthier state on the whole. As with most things to do with your health, your skin can be affected greatly by your stress levels. If you are routinely or overly stressed, this will definitely have an effect on your skin health, so you should think about what you might be able to do to keep your stress levels down in future. As it happens, this can be easier said than done, but you will probably agree that it is worth it - especially because of all the other benefits you will see from doing so. Stress is a major skin problem, so be sure to try and do away with it as best as you can. What are some other ways you can promote healthy skincare habits? .... and as we all know it is the time best known as "Spring Cleaning". This time of year is best known as clearing clutter out of their lives, whether it be downsizing your home, wardrobe, getting rid of friends or relationships, RARELY do we take the time to self-care; especially for our skin, as that's where Biore is here to help! Biore has two amazing products that are perfect to help get you right for the warm weather, cute outfits, vacations, fun times with friends, new or future baes. Biore Self-Heating One Minute Mask is an amazing 1 minute deep cleansing mask that heats up as soon as you apply it (with the help of water). What I love about the mask is that it does not get hard and it rinses clean. This product contains charcoal which is a hydrocarbon and natural treatment for helping to rid your body of toxins and chemicals. 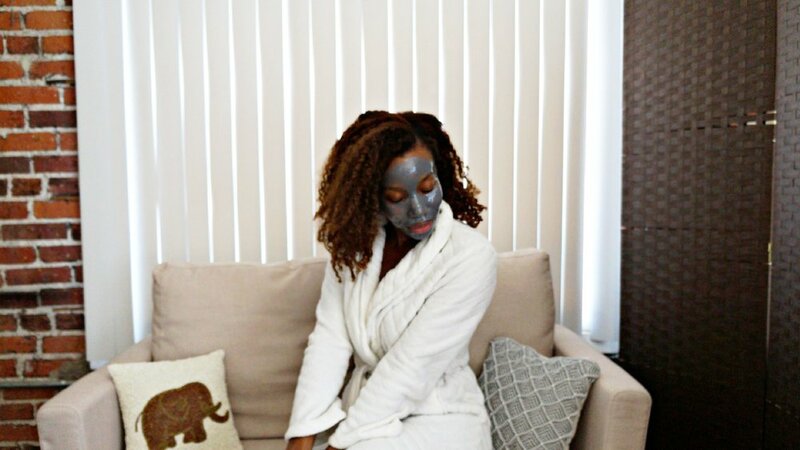 With the help of charcoal, the mask helps to release dirt (which we know clogs pores), oil and impurities. It left my skin feeling refreshed and cleansed. While you may be skeptical how this mask could possible work so well in one minute, it really is the intense heating action that purifies your pores 2.5x better in that minute! This 4 pack (which is also great for travelling) is available on Amazon for $5.82. If you want it now, you can also find similar pricing at Walmart, Target or other major retailers. Biore Deep Cleansing Charcoal Pore Strips are so magical! Again, this product contains charcoal which helps to remove deep down dirt, oil and blackheads from even the most cloggiest pores. This product works in 10-15 minutes to reveal a smoother nose with diminished pores. I have never used a pore strip before, so the removal process for me was a bit painful, however the results are so work it (just like waxing). Regular use will diminish the appearance of pores and help avoid complexion problems!! You can get your 6 pack again at Amazon for $5.99 and they are also available at other major retailers.